Every researcher in genomics and proteomics now has access to public domain databases containing literally billions of data entries. However, without the right analytical tools, and an understanding of the biological significance of the data, cataloging and interpreting the molecular evolutionary processes buried in those databases is difficult, if not impossible. 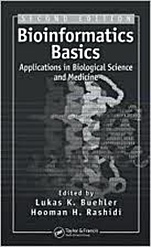 The first editon of Bioinformatics Basics: Applications in Biological Science and Medicine answered the scientific community?s need to learn about the bioinformatic tools available to them. That the book continues to be a best seller clearly demonstrates the authors? ability to provide scientists with the understanding to apply those tools to their research. Currently, it is being used as a reference text at MIT and other prestigious institutions. Recognizing the important advances in bioinformatices since their last edition, Buehler and Rashidi have produced a completely revised and updated version of their pioneering work. To allow scientists to utilize significant databases from around the world, the authors consider some fresh approaches to data analysis while identifying computing techniques that will help them manage the massive flow of information their science requires. 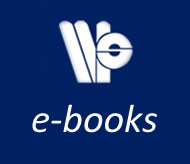 # New to the second edition: Provides a more detailed view of the field while continuing to focus on the global concept approach that popularized the first edition. # Offers the latest approaches to data analysis # Introduces recent developments in genomics, microarrays, proteomics, genome mapping, and more. # Adds two new sections offering insights from other experts in bioinformatics. Bioinformatics Basics is not intended to serve as a training manual for bioinformaticians. Instead, it?s designed to help the general scientific community gain a thorough understanding of what bioinformatics tools are available to them and the best ways these tools can be utilized and adapted to meet the needs of their specific interests and projects.